I met Arianna and Jacopo, a lovely Italian couple to capture images for their Chiswick House Engagement Shoot. In the unusual London Summer heat, we explored the gardens and spent some time together before the sunset. The location was a fitting choice as it is not only a beautiful place to visit, but Chiswick House and Gardens were also inspired by classical Italian architecture and has numerous Italian references and links. 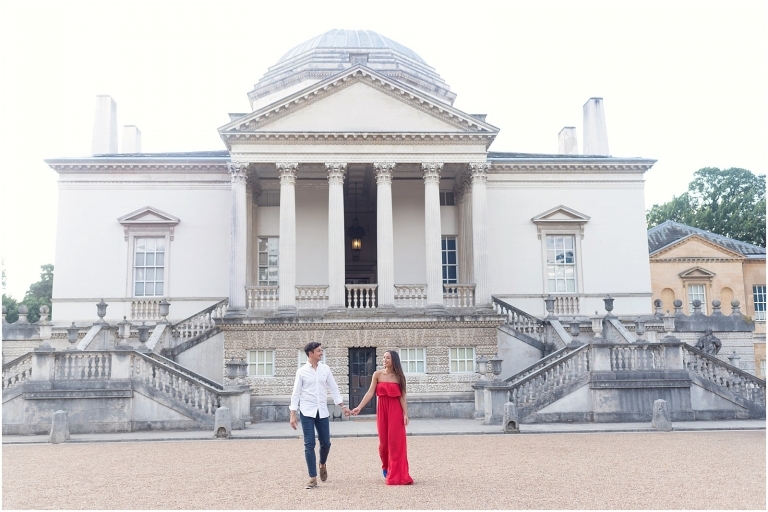 Chiswick House is the perfect place for an Engagement Shoot. Congratulations again to Arianna & Jacopo! 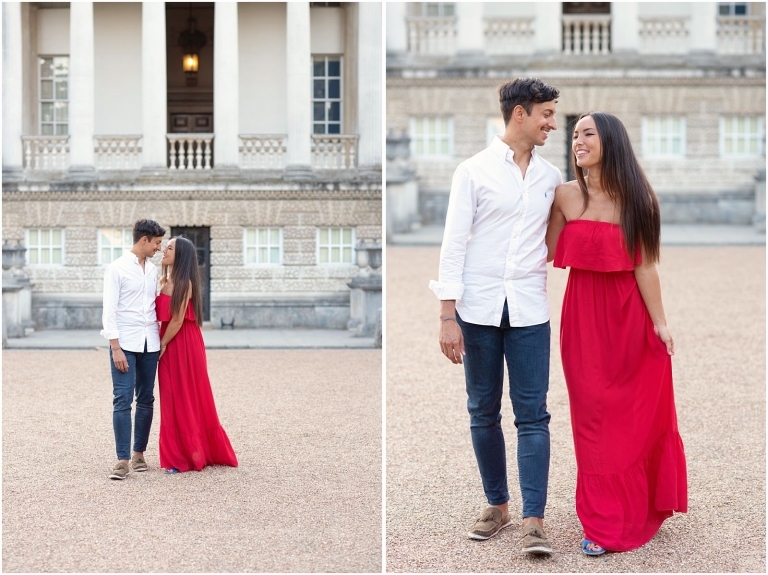 It was a real pleasure to capture your Chiswick House Engagement Shoot. If you are looking for a Chiswick House wedding photographer or you’d like a Chiswick House Engagement shoot please head over to my contact page and tell me all about your love story.